One of the easiest ways to create a good morning routine is to have an amazing evening routine. An evening routine helps set you up for success the next day because you can accomplish a lot of the “prep” work of the morning during the night before. Evening routines are not easy. Usually, by the end of the day, you are exhausted and the last thing you want to do is work on getting stuff ready for the next day. When you take the time to do this, even for a few minutes the night before, it will end up helping you in the long run. Where do you start with an Evening Routine? You are actually going to start at bedtime. Funny, I know, but you worked so hard putting your morning routine time bank together, that you need to honor that. And in order to honor your morning routine, you need to know what time to go to bed. For example, if your kids wake up at 7am every day, and your morning routine is one hour long, you will need to get up at 6am. Now, you need to figure out how many hours of sleep you need each night – be realistic here. I don’t need as many hours as my husband, but let’s say you need 8 hours. You will need to have your lights out by 10pm the night before. What should I do during my Evening Routine? There are a whole host of items that you could do during your evening routine. A lot are preparatory for the morning, but you can also take this time for a good evening self-care routine. • Get all the dishes from dinner washed and put away. All of these items take very little time at night to do – except maybe the dishes, those always seem to take a long time in my house! Making a to-do list the night before is probably something you have heard people talk about before. Why would you do that? The thinking behind preparing a to-do list the night before is so that you can be realistic in what you accomplish in a day. Often in the morning, we are very excited for a new day, and all the struggles that happened yesterday are forgotten (or sent to the back of your mind!). What happens is that you make a very robust to-do list in the morning, and more of a bare bones list in the evening. This works with homeschool planning as well. At the beginning of the week I can be very starry eyed and think “of course we can get all of that done in a week!”, when that is not even close to reality. Making your to-do list in the evening will help take some of that starriness out of your eyes, and be more realistic with what you can do in one day. Creating an evening routine is a very small adjustment to your day that can have a huge payoff for the following day. Adding in some self-care at the end of the day helps to relax you before bed. When you have an evening routine, it is your way of telling your body it is time to wind down for the day. These days it is hard to get to bed at a reasonable time, and then to actually fall asleep. There are so many thoughts going through your head that you end up worrying, or you remember all the things you didn’t get done during the day and dread the next day when you have to pick up the extra slack. Again, an evening routine does not need to be exceptionally long, but it should be a routine. Something you don’t need to think about as you develop the habit. Instead, you move from item to item, and then go to bed and hopefully sleep peacefully until the morning when you start your morning routine. 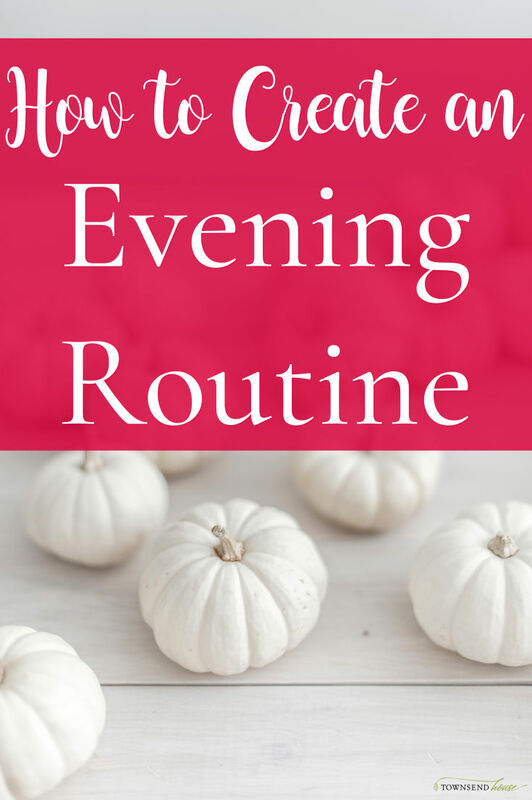 Do you practice an evening routine? Are there items that you do in the evening to make your mornings go smoother? 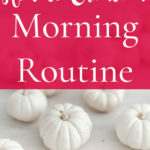 Previous Post: « Morning Routine – Yes You Can!